My eleventh stadium of 2014 was on Tuesday 15th July at Rosemary Lane in Halstead, Essex. 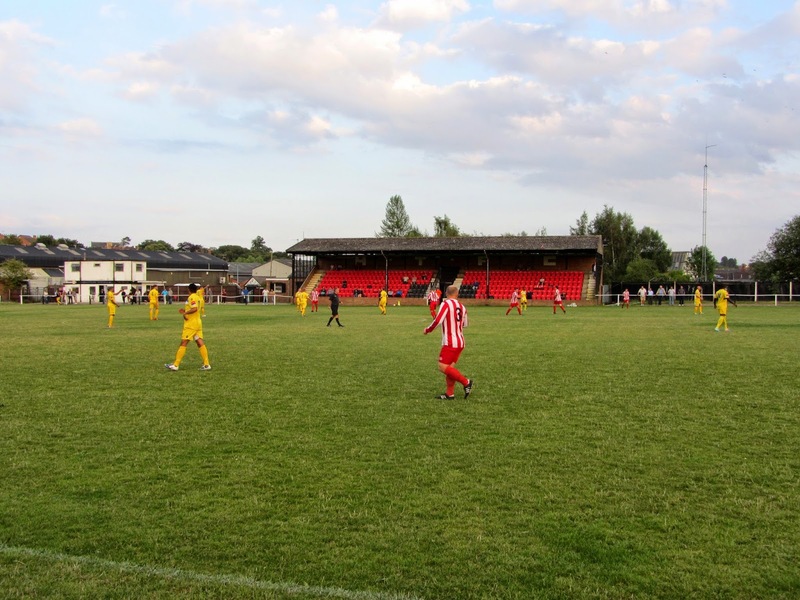 The match was Halstead Town vs. Witham Town in a friendly. Rosemary Lane is located at the back of an industrial estate just off the high street. As it is also on the outskirts of the small town of Halstead the north side of the venue backs onto the countryside in this rural part of north Essex. The nearest railway station is Braintree, some 6.5 miles south of the town. The Rosemary Lane venue has been home to the club since 1948. The ground has a single stand located in the centre of the southern side of the venue. This stand has a total of 312 seats with it split down the middle by the players tunnel which leads back to the dressing rooms. There is also an additional back row without seating that can still be used. The structure has a couple of stanchions to hold up the old roof but offers good views of the game. At the eastern end of this side of the ground there is also a tidy little clubhouse. The rest of the ground is uncovered hard standing with a strip of concrete extending around the pitch. The two dugouts are situated on the northern side of the ground directly opposite the stand. 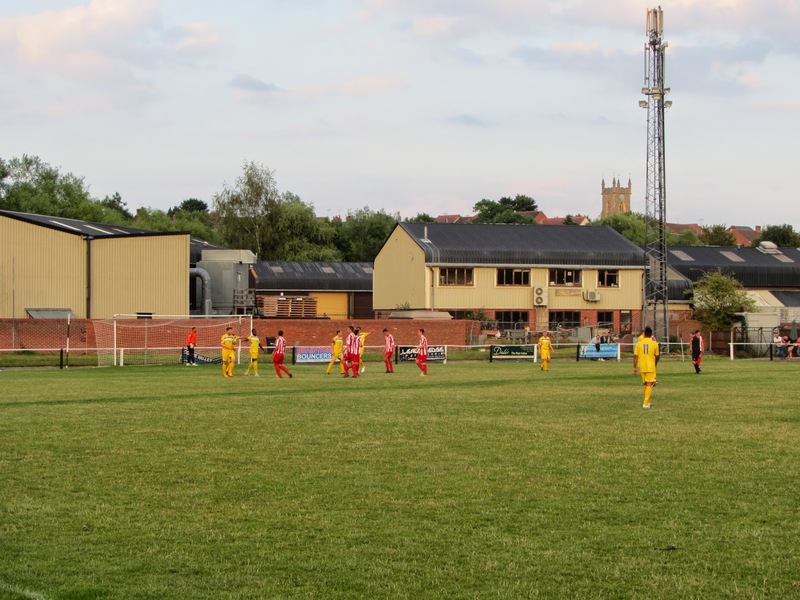 The game was a friendly match between Eastern Counties League Division One side Halstead Town and Isthmian League Premier Division side Witham Town. The match started fairly evenly with both sides scrapping it out without generating many shots on goal. As the half wore on Witham got on top and won a number of corners after causing Halstead real problems down the wings. In the 41st minute one of these corners paid dividends as James Robinson's cross bounced off a home defender and into the net. The visitors continued to look the better of the two sides at the start of the second period but in the last 20 minutes the game started to swing towards the home side and in the 77th minute they scored a tidy equaliser when a smart dummy lead to a Halstead attacker having a run in on the goalkeeper and he drilled the ball low into the bottom corner. Despite being 3 divisions below their opponents Halstead looked the more likely to grab a winner in the closing stages but in the end both sides deserved a draw which is how it finished.